Cotangent open beta! Try it free. Cotangent is a new 3D Printing and Mesh Repair tool from Gradientspace and the creator of Meshmixer. There was a time when being able to 3D print something was a revolution. But it's time to raise the bar. Cotangent will save you time and help you make more awesome stuff. After years of dealing with meshes that looked solid but weren't printable, we decided to do something about it. Overlapping shells? Don't worry about it. Self-intersections? Rarely a problem. Want to directly design print paths with single-sheet meshes? We. are. on. it. Our goal is that you'll be able to print any mesh. Yes, any mesh. We're not there yet, but in the meantime, if you have a file that looks solid but won't slice, we want to hear about it. Fins are single-sided triangle sheets extending into solid. Internal cavities automatically added by slicer. Adding a tolerance setting to the blue part ensures that it won't be fused when printing. Designing 3D-printed assemblies usually requires many tweak-model-test-print iterations to get the fit right. Switch printers, or even materials, and you'll need to jump through all sorts of hoops to tweak your tolerances. It's madness. Manufacturing variables shouldn't be be baked into our designs! Instead Cotangent allows you to tag parts with Clearances and Offsets that are applied at slice time. You don't need to go back to CAD - you don't even need to add tolerances to the CAD model in the first place. Support structures are an unavoidable necessity in 3D printing, so we've put a lot of effort into making supports less painful. 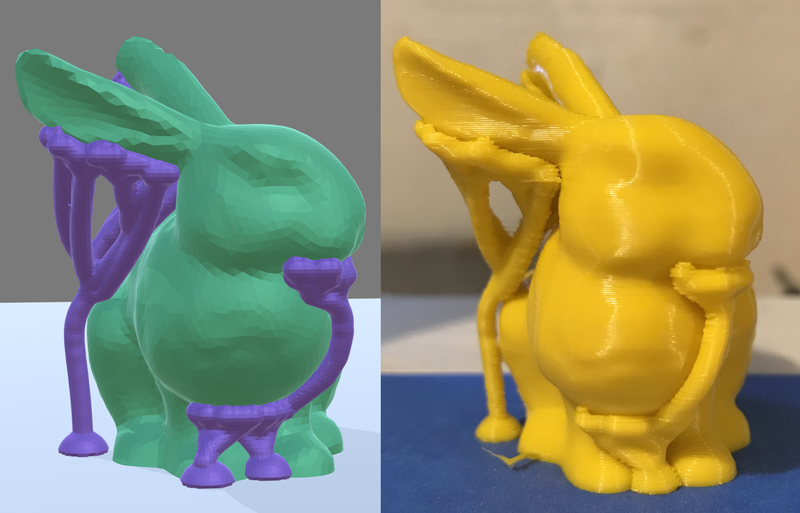 If you just want to press print, our slicer-generated supports will do the job. If you want a bit more control, we'll generate Block Supports that you can edit. We've also invented a powerful new minimal Tree Support system, which is great for delicate prints or to reduce support print time. 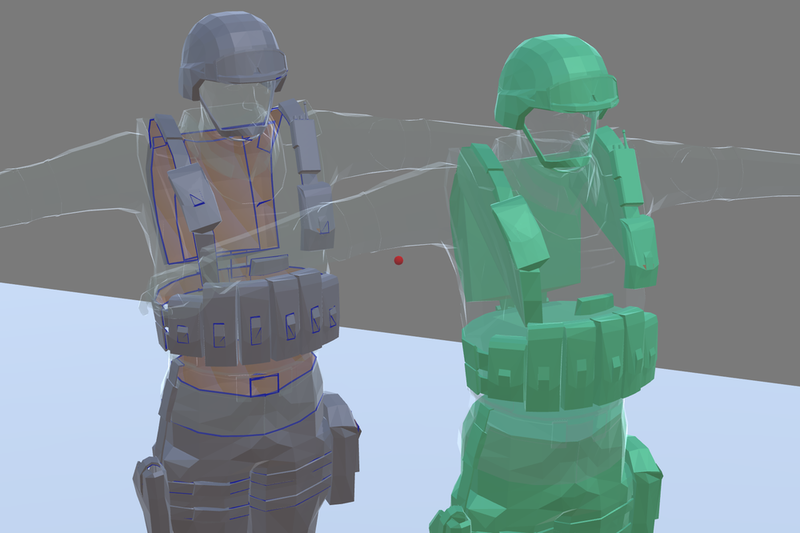 And if that's still not enough control, you can tag any imported mesh as a Support Volume, and we'll sort out the model overlaps at slice time. 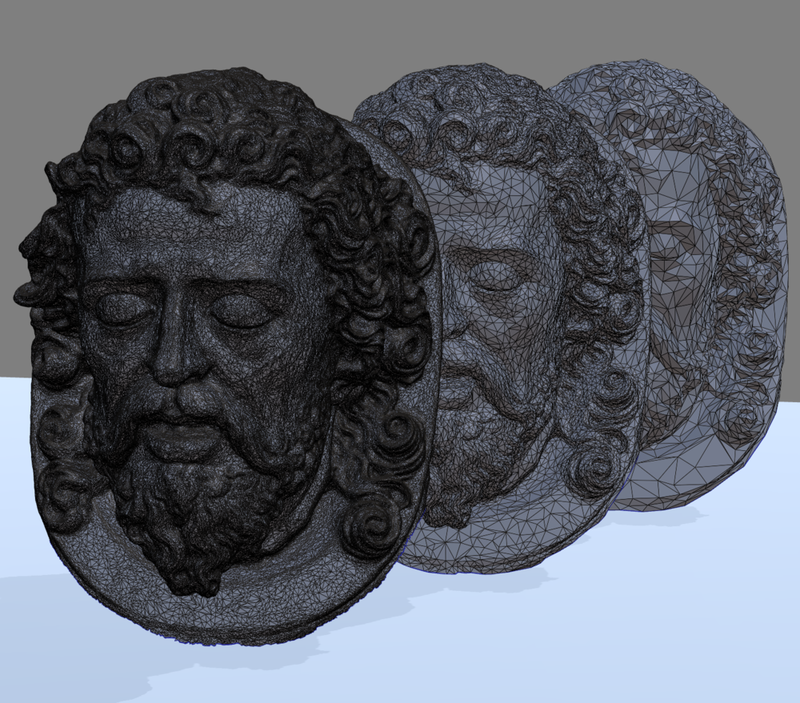 Extracting a printable 3D surface from a raw scan mesh or "triangle soup" can be a nightmare. Cotangent's Autorepair tool is state-of-the-art, and our Solidify tool uses new volume-extraction techniques that can turn just about any mesh into a clean, printable solid. 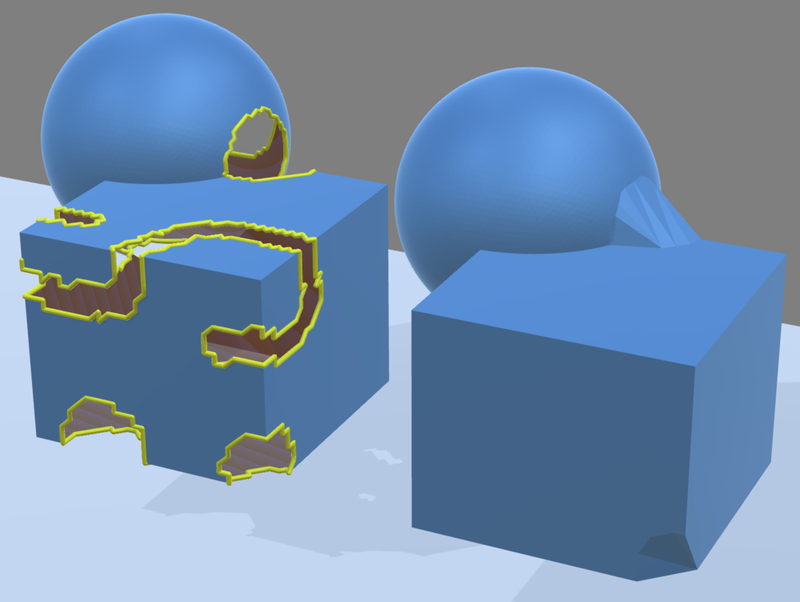 Our mesh repair toolbox can also close cracks, fix normals, and automatically remove hidden internal surfaces. 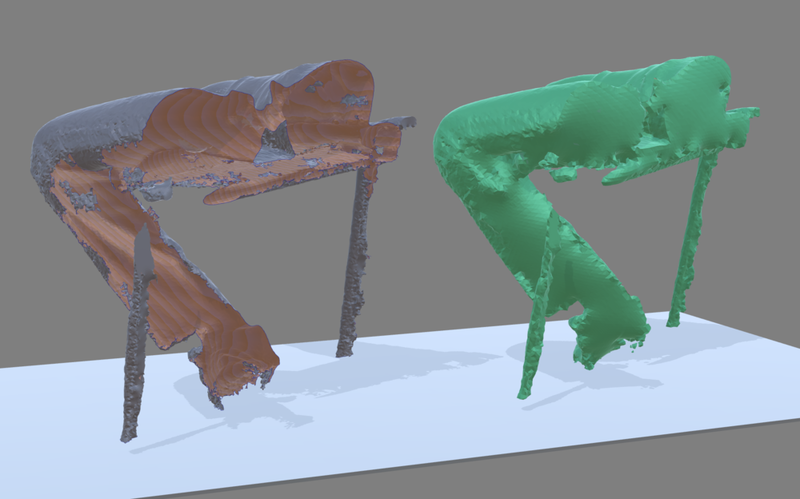 Left: 3D Scan with nightmare-inducing garbage boundaries. Right: Auto-Solidify result. Click to enlarge. Left: Equipment made of open shells overlapping the body’. 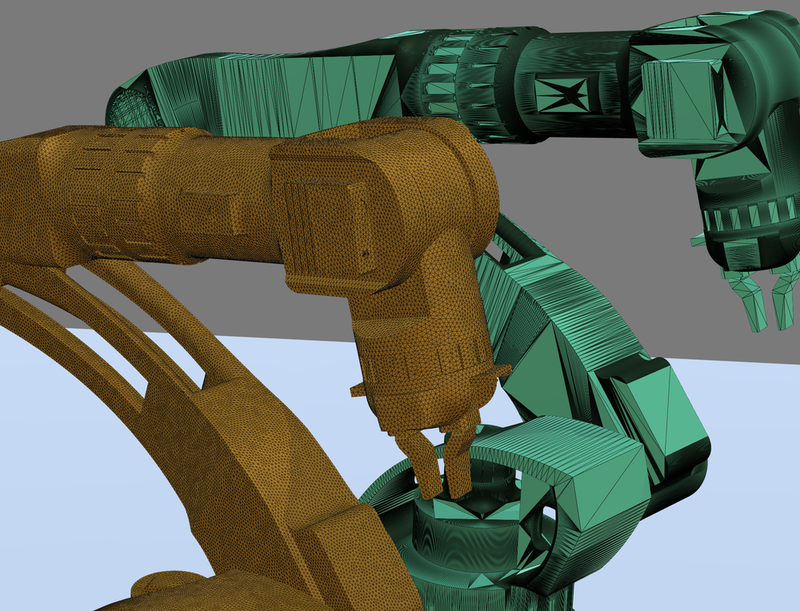 Right: Each part is Autorepaired into a closed solid. Is your mesh missing a few critical triangles? Not to worry, we've invented some new techniques for handling those tricky sharp-edge cases. Our As-Flat-As-Possible fills are so good you might be tempted to use them for modeling. Our Smooth Fill is great at matching the curvature of smooth scan surfaces. If a hole is too complicated to handle in one shot, jump into the Mesh Editor to cut it down to size with a few quick Bridges. Huge triangle counts will slow you down and can even reduce extrusion quality on inexpensive printers. 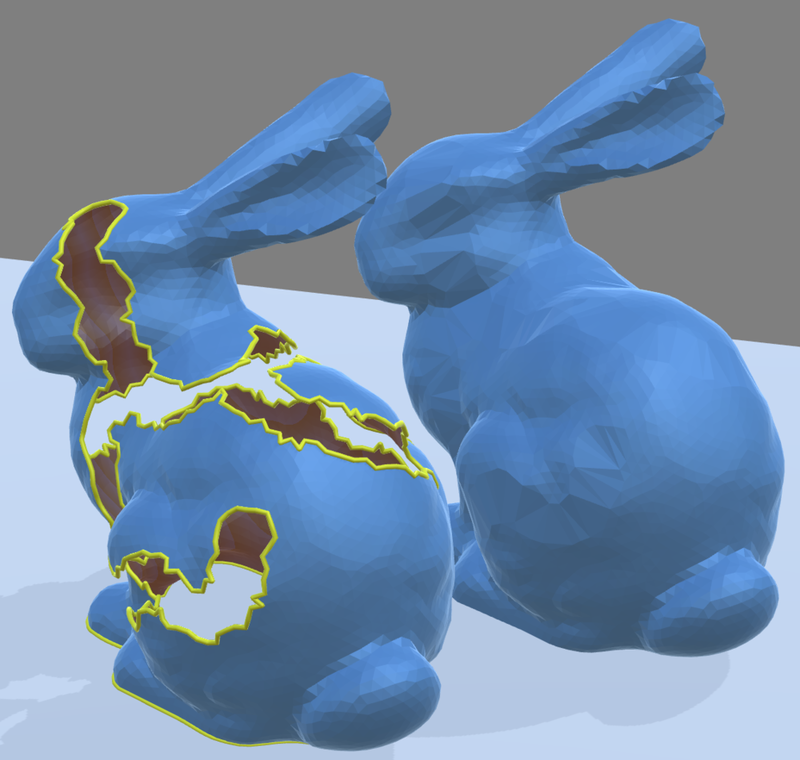 Cotangent can Auto-Simplify huge meshes on import, or do it yourself for full control. Our feature-preserving Remesher will convert low-quality CAD exports into high-quality triangulations suitable for further processing. Cotangent is getting better every day. Check out our Roadmap to find out where we're going.